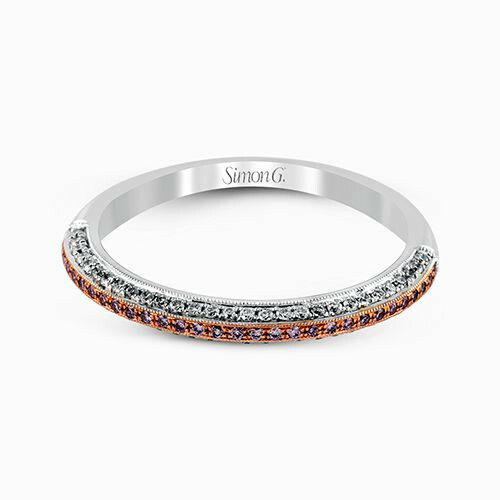 This Simon G. diamond wedding band is part of the designer's Delicate collection. It's design is both refined and robust, with two tones of 18kt gold and two diamond colors. Three gem-filled rows go half-way around the band; two have white diamonds in white gold, while the other is made with pink diamonds in rose gold. 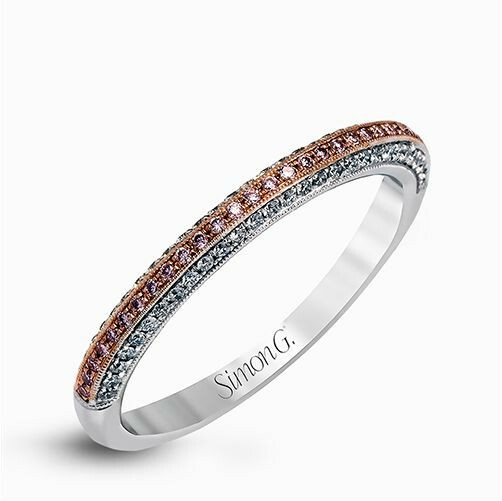 Stunning in its simplicity and simply stunning, this Simon G. wedding band is decidedly different.